and the DNR said they'd cooperate with a deeper review, so here we go, thanks to FLOW, a Michigan water stewardship group. And, as I'd said, there were going to be headwinds like this. 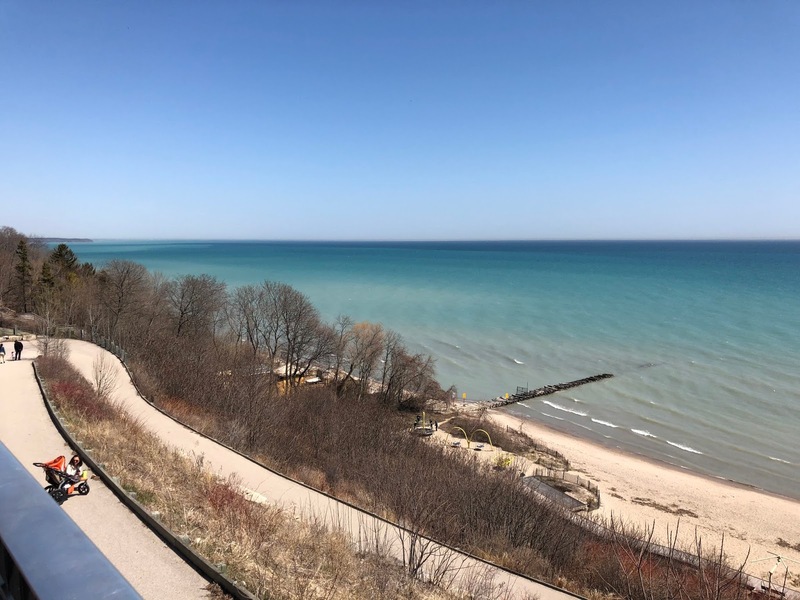 A Lake Michigan water diversion approved by the State of Wisconsin is inconsistent with the Great Lakes Compact and threatens an open season on Great Lakes water, FLOW said today. The Traverse City, Michigan-based science and law center asked Great Lakes governors and a Regional Body established by the Compact to review Wisconsin’s approval of a 7 million gallon per day diversion request by Racine, Wisconsin, a city entirely insides the basin, primarily for the Foxconn Corporation in Mt. Pleasant, Wisconsin. Wisconsin Department of Natural Resources approval of the diversion is based on a faulty interpretation of the Compact and sets a dangerous precedent, FLOW said. The approved diversion allows the City of Racine to extend its existing water supply system to an area of Mt. Pleasant not served by a public water supply and outside the Great Lakes watershed. · The Foxconn diversion stretches the Compact’s exception to a ban on diversions for so-called straddling communities that is intended “solely for public water supply purposes,” primarily residential customers. The exception was intended to assist communities with public water supply systems that already extend across the divide and serve a straddling public water supply, with emphasis on residential users. The Racine-to-Foxconn diversion is simply a diversion of an in-basin city’s in-basin public water system to an area outside the basin for an industrial purpose, as acknowledged publicly by state and local officials. The City of Racine circumvented the requirement by using its gross water utility system-wide data to show that its in-basin system serves 30,425 residential customers, 848 multi-family residential customers, about 3,000 business, commercial, and 302 industrial users. But the water diverted or transferred here is the 7 million gallons covered by the Racine application. If the analysis is limited to that required by law, the primary purpose of the diversion is to serve customers outside the basin who are commercial and industrial—the Foxconn plant project, and not residential users. · The Foxconn diversion violates the exception for “straddling communities” because the exception is solely for public water supply “within” or “in” “the straddling community.” A customer area in an incorporated town like Mt. Pleasant is not a public water supply of Mt. Pleasant, and therefore Mt. Pleasant without its own public water supply system does not qualify as a “straddling community.” To interpret the exception otherwise, is to allow a city inside the basin to divert water to a new customer in an area outside the basin by merely assuming the identity of an existing community whose corporate limits straddle the basin divide. This is not what the exception was intended to allow; it does not serve the public water supply of Mt. Pleasant; and it serves the customer and newly diverted water on the part of Applicant City of Racine. The Council and Regional Body have broad authority to bring actions, exercise rights as aggrieved parties, or exercise powers of review for consistency, compliance, uniformity based on a joint commitment to protect the integrity of the Great Lakes; this means upholding the diversion ban and interpreting and applying the exceptions to the ban as written. The Racine in-basin community proposed diversion for primarily industrial use by an industrial customer in Mt. Pleasant, but outside the basin, does not qualify for the straddling community exception. The Council and Regional Body and affected or aggrieved parties should demand an investigation, review, and determination of whether or not the Racine proposal and final determination by the Wisconsin DNR fall within, meet and/or comply with the “straddling community” exception standard, FLOW said. Thank you FLOW for taking care of the business our DNR has been restructured to ignore. A grateful Wisconsinite.. Thank you Flow for bring our DNR problems to the forefront. A Wisconsinite.